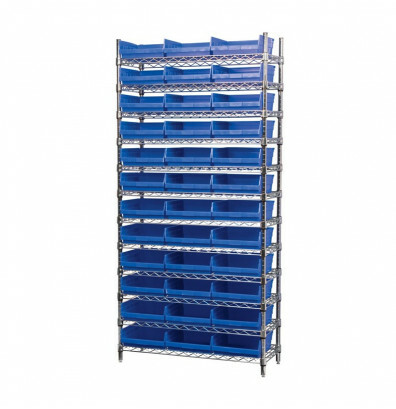 Akro-Mils 12-shelf 14" D wire shelving unit with 4" H bins offers an open wire design with solidly constructed bins to solve your organization needs. 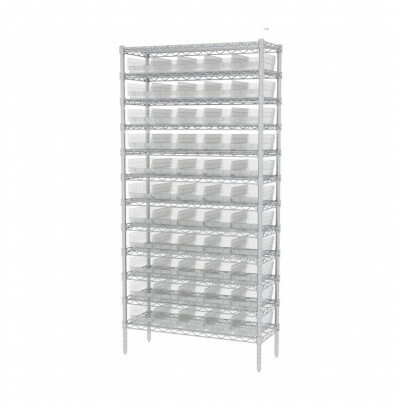 Constructed from durable steel with a chrome finish. Shelving clips lock onto shelf posts and can unlock for adjustment. 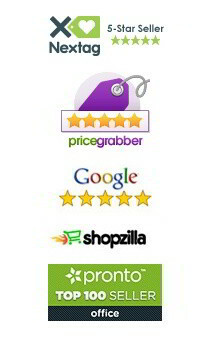 Easy, one person setup - no hardware required. NSF Certified for safety, design, and durability. 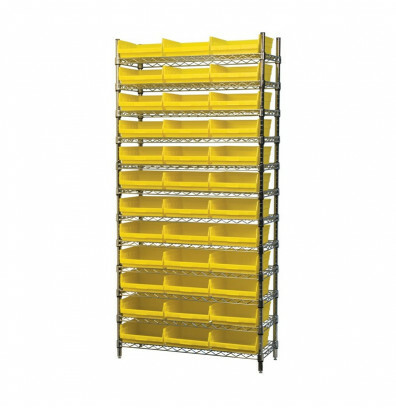 Akro-Mils shelf bins are a durable and efficient solution to your storage needs. Wide hopper front allows easy access. Built-in rear hang-lock allows bin to til out for complete access. Molded-in label area for identifying products. One piece construction is waterproof, resistant to grease and oil, and won't spread or crack when loaded. Able to nest when empty to conserve space. 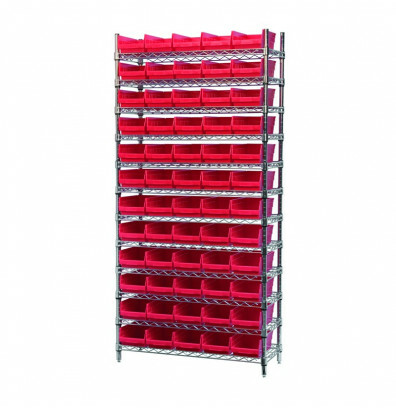 Akro-Mils wire shelving unit with shelf bins is available in multiple colors.